The veggies, tomato sauce, and basil come together so nicely in this soup as cooks! Enjoy the smells! Place all the ingredients, except the garnish and sides, into the base of the slow cooker and pour in 2 cups of hot water. 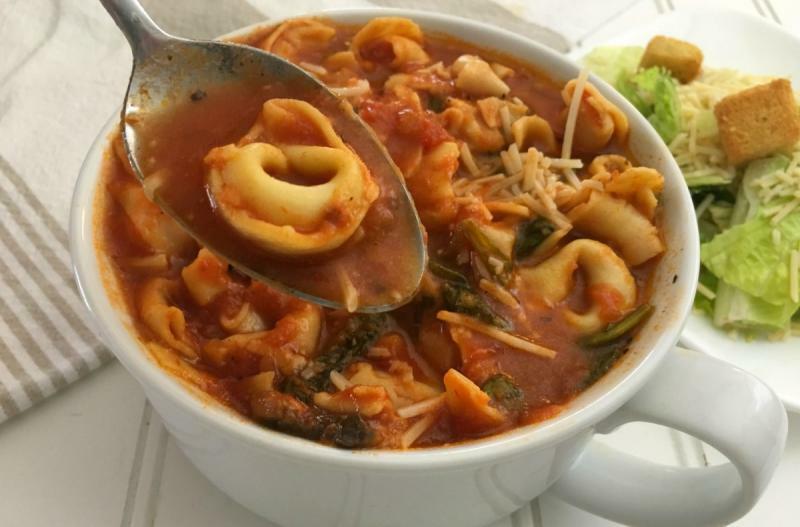 Set the slow cooker on low and cook for 1 hour, or until tortellini are tender. Once finished cooking, ladle soup into serving bowls immediately to keep the pasta from overcooking. 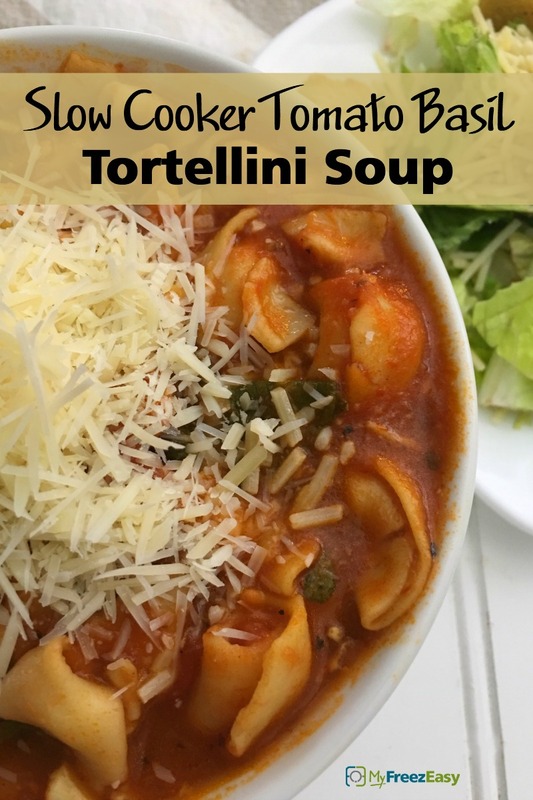 Serve Tomato Basil Tortellini Soup with Parmesan cheese garnish and salad. Use chicken stock for non-vegetarian meal. Stovetop cooking directions: thaw and cook over medium low heat for 20 to 30 minutes, or until tortellini is cooked and tender. Unfortunately, there isn’t a great dairy-free alternative for this meal. Unfortunately, there isn’t a great gluten-free alternative for this meal. Thaw completely, add to slow cooker with 2 cups hot water, then slow cook on low for 1 hour.